When & where did you first start riding? As far back as I can remember I’ve always been on the water. Growing up my family would spend weekend after weekend on the river. Skiing was my weapon of choice growing up, I never really got into wakeboarding. 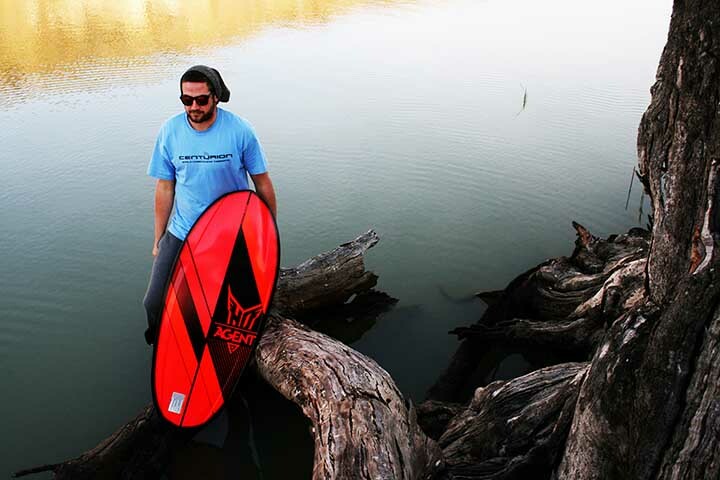 I wanted to do something different and that not many other people were doing so in 2005 I started Kneeboarding and then picked up my first sponsor with HO in 2007, and I haven’t looked back since. Who inspires your riding the most? I would have to say Dave Jennings, some of the tricks he was doing back then were incredible and still to this day, I haven’t seen a better S’Bend than his. Frankie Panno, the way he continues to push the sport even at his age (jokes) makes it a lot easier for riders like myself to keep striving for bigger and better tricks and gives the younger generation something to look up to. I have a mate, Marc Grey, who lives in Melbourne and if I’m lucky I’ll get to over and ride with him a few times a year, which whenever we are together we push each other to try a bunch of new tricks. Describe your riding style? Personally like think that have a lot of style and flow. I may not necessarily go the biggest or furthest into the flats but I make sure my tricks look super stylish, throwing in grabs and tweaks where ever possible. What has it meant to ride for HO Sports? To be part of HO Sports is huge, one of the biggest and most recognized ski companies in the world and to be able to say I ride for them is an awesome achievement, not only do they help me out with products but I also receive great support from the management staff. What has been your career highlights? 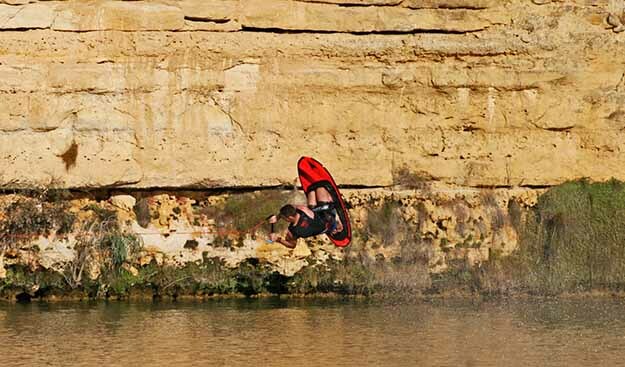 The memory of landing my first flip with all my mates in the boat screaming and shouting will always stick with me. But representing Australia in the 2010 World titles in Atlanta, Georgia with my mate Marc Grey would have to be my career highlight to date. What are your future goals in Kneeboarding? 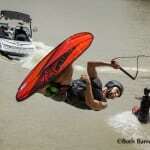 I aspire to continue pushing the sport of Kneeboarding, striving to take the sport to levels it has never been before. And in years to come hopefully be remembered for all the hard work and commitment I put in to help take this sport to bigger and better things. Helping represent companies is something I enjoy doing and will continue to push for maximum exposure for those behind me. The boundaries are only beginning to be pushed and as I progresses into the year I have already made plans to shoot a video for Centurion Boat Company, photo shoots with magazine companies and becoming more involved with Kneeboard Australia to develop competitions and fly in days threw out Australia. Would also love to one day get over to Orlando and ride with fellow rider/sponsor Frankie Panno. Favorite song/music to ride to? Depends on what mood I’m in really, first thing in the morning if it’s just myself and a few others in the boat I don’t mind a bit of Ed Sheeran. If there are a lot of people in the boat and I’m trying to get myself pumped up to try new tricks I love to listen to Amity Affliction. Likes? General things I guess… typical Aussie, love a good bbq, coronas, mates, anything that gives me rush or is dangerous and females. Dislikes? So many, but the main ones would be olives, books, fish and tangled boat ropes. Not really a fan of foam either… yes foam! Board you ride? I ride on Frankie Panno’s 2015 HO AGENT and have so for the past 3 years. What’s favorite place to ride? My local and favourite spot to ride is at White Sands Caravan Park in Murray Bridge, but I also travel to Morgan to hang out with a bunch of other talented Adelaide riders, including fellow teammate Stephen Hausler. When & where did you first start riding? I first learnt to Kneeboard when I was 5 years old and would always ride with family friends on the Murray River at Morgan. When I got a little older my parents bought our first family boat and I would be on the water everyday after school and every weekend. Who inspires your riding the most? 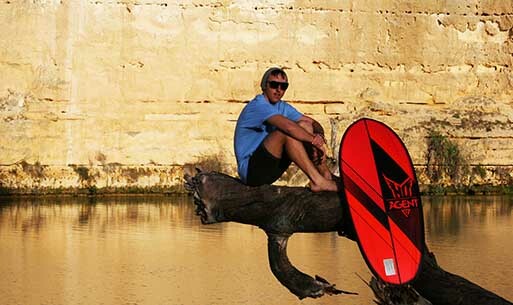 When I was growing up and learning to kneeboard, I was watching people such as Leigh Ward and Marc Gray. The beauty of YouTube provided heaps of videos from the greatest Kneeboard movie ever made, Air Assault. 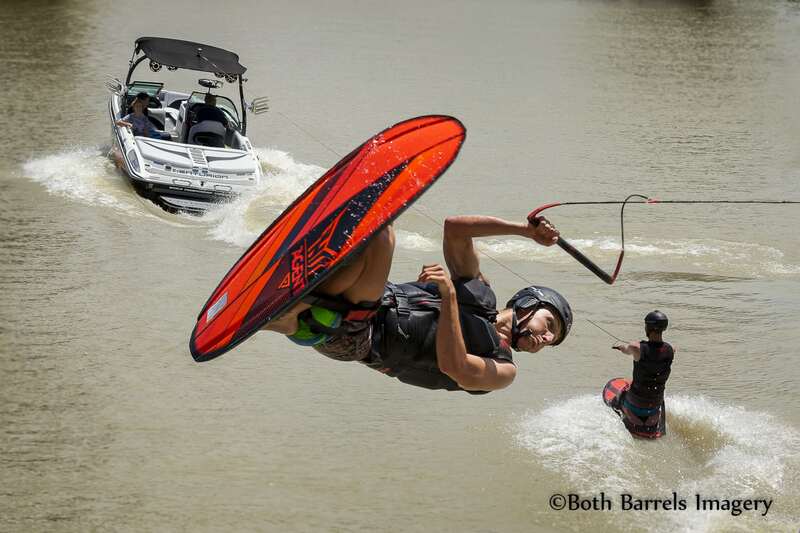 But now I love to watch what the wakeboarders are doing and trying to incorporate some of their style into my riding. 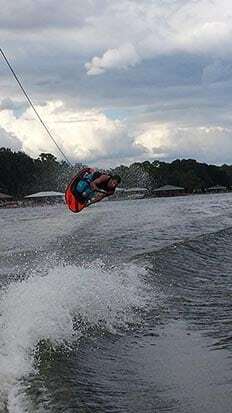 I love to charge into a wake and go as big as possible while trying to include some different grabs and style moves. I'm not worried about falling off while trying the big tricks, as long as I am pushing the sport in some way. My very first river memories were on HO kneeboards and skis. It was all that I knew. I still remember the first time I tried kneeboarding was on one of the original HO Jokers. My very first board that I bought with my own pocket money was a HO board. Now to be a part of such a successful and credible company, who looks after me so wonderfully. Is a dream come true. I still remember my first flip when I was 16, there was a whole bunch of kneeboarders out at a fly in and I decided to go for it. After a few spills I finally nailed my first backroll. The feeling was amazing. But since then my highlights have included kneeboard demonstrations infront of 150,000+ people on the Yarra River at the iconic Moomba Masters. And in 2014 being the first person in the world to land a Double Backflip on a Kneeboard. What are your future goals in kneeboarding? I hope to compete in Australia in the near future as there are no competitions running at the moment. . One day I plan to head over to the USA and have a look at their kneeboarding scene and ride with the talented riders that are over there. It would be and honour to represent Australia in the Riders World Cup of kneeboarding in the future. And of course my goal is to continue pushing the sport in any way possible. Favorite song/music to ride to? I don't have a specific artist, but I love anything that is mellow and has some bass to it. But also there are times when the music needs to be up beat and get to you in the mood! I love being at the river, not necessarily on the water, but just being there and admiring the beauty of it. As long as I'm there with my friends and family, we have some tunes and Sangria. Everything will work out okay! I can't stand people who get worked up to easily and don't look on the bright side of life. I'm onviously a river kid so I'm not a massive fan of the ocean. Oh! and I hate sweet and sour with rice. Anything that my mum cooks for me (I have to say that) but her specialty is definitely a nice Sunday Roast. Frankie Panno's signature model HO Agent. Whats favorite place to ride? I can't look past my hometown of Morgan, SA. It's a nice wide stretch of the Murray River with golden limestone cliffs in the background. But lately I have been travelling around Australia a lot more and getting ride in some sick locations. 1.) Standout memory: Definitely when I completed a 5000 point trick run at nationals for the first time in 2010. 2.) When did you first start riding? Where/Why? My parents owned a lake house in lake placid where we would come up to on the weekends and at the age of two they put a rope in hands and said "hold on". Back then it's what the family and friends did so they brought me into the sport of kneeboarding. 3.) Who/What inspires you? Watching "Airassault" and kneeboard friends I grew up with in this sport. We all get inspiration from each other by helping each other push our abilities and learn new things on the water. 4.) If you weren't a kneeboarder, what would you be? Since I can ride well with other with other watersports like wakeboarding and wakeskating I would probably want to be a snowboarder. It's an awesome sport, it's something I haven't done yet and it's very action pact like watersports. 5.) Favorite site? Probably kneeboard planet. Even though I had personal kneeboard friends it was still pretty cool to go on this site and discuss kneeboarding with other people who were also passionate with kneeboarding. 6.) Top 3 career highlights? One would definitely be traveling to Callaway Gardens to compete in the international rider cup in 2010 and win the world title. Second would be me being the first rider to ever land a wake 360 to air back roll in competition and in the history of kneeboarding. Three is receiving a sponsorship from HO watersports this past year at the surf expo. 7.) What's it meant to you riding for HO watersports? It's definitely an honor riding for HO and I'm very happy to ride on this team. It's what I love to do, it's my passion and riding for HO gives me motivation to push myself even more with this sport. 8.) Any other talents? Well apart from kneeboarding I'm actually a very good and talented cook. Cooking is my second passion in life and I've been working in the restaurant business for 4 years. 9.) What pushes you? Myself and doing my best everytime I'm out on the water. 10.) Favorite cross-training sport/activity? Can Nascar be one? 11.) Described your riding style. When I ride I can feel that I have a very precis riding style. Every trick is landed tight and on point with no sloppiness. Yes it's one thing to make your trick look cool but it's another to make your trick look like you have control while looking cool doing it. 12.) Favorite quote to live by. 1.) Weapon of choice: between the Agent and the Joker it's pretty tough to choose because of the fact that they are two completely different boards but if I had to choose it would be the Joker.